Sheila Webster Boneham: The Money Bird is On the Wing - What Next? The Money Bird is On the Wing - What Next? Leave a comment below and you'll be entered for a free books - your choice of any of the books listed at the end of this post! If you follow my Facebook page, you already know that The Money Bird, the second Animals in Focus Mystery, is set for release September 1. The series, which debuted last Fall with Drop Dead on Recall, features 50-something animal photographer Janet MacPhail, her Australian Shepherd Jay, and her orange tabby Leo. Other essential characters include a good-looking anthropologist, Tom Saunders, and his black Labrador Retriever, Drake, as well as Janet's mother (who is battling dementia), Janet's brother, Bill, and his partner, Norm, and Janet's quirky neighbor Golden "Goldie" Sunshine. The plot of each book in the series revolves around an animal sport or activity and a larger issue (dog obedience, breeder ethics, rescue, and runaway competitiveness in Drop Dead on Recall). In The Money Bird, the activity is retriever training and the larger issue illegal trafficking in endangered birds. 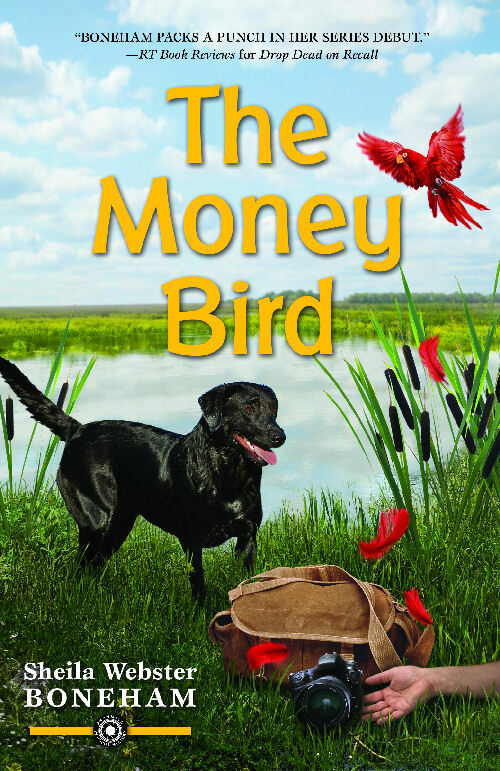 The title, The Money Bird, comes from retriever field competitions but applies to the money made by smugglers as well. There is, though, more to the books than the animals - more on that later. I'm working now on the third book, tentatively titled Catwalk. Although the Animals in Focus series has been characterized by some people as a "dog mystery series," I have always seen it as an "animal mystery series," and cats have been important characters from the get go. In fact, Janet's tabby Leo is quite the hero in Drop Dead on Recall! He has even given the occasional interview - see what he had to say to lovely Tara at Melissa's Mochas, Mysteries, and More. Back to The Money Bird for a moment, though. 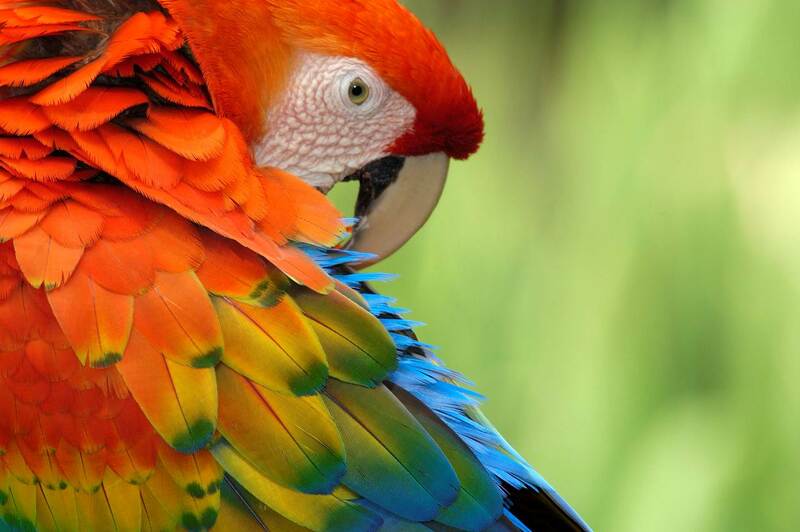 Although I have known about the horrors of wildlife trafficking for many years, it wasn't until I read Spix's Macaw: The Race to Save the World's Rarest Bird by Tony Juniper a couple of years ago that I immersed myself in books and articles about tropical bird trafficking in particular. The money and illegality made trafficking prime mystery material, and although I try not to beat my readers up with too much information, I do hope that the book may lead some people to learn more about the problem of wildlife trafficking, not only as it affects birds, but mammals and reptiles as well. Retriever training seemed a natural activity for the book because, in addition to Aussies, I've had Labrador Retrievers in my life since 1988 and have done some field training with them. Besides, Janet meets a good lookin' guy with a good lookin' black Lab in Drop Dead on Recall. It just all fit together. Like many mystery series, other plot threads run through the Animals in Focus books as well. 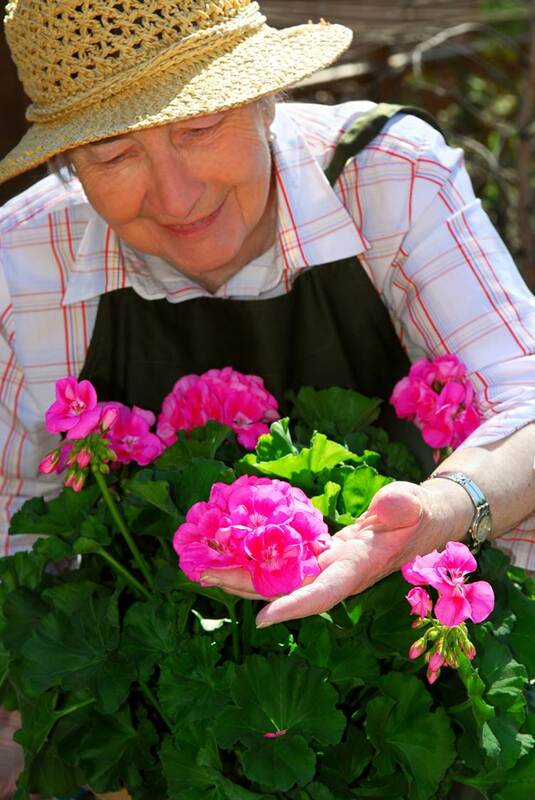 One of the sub-plots has to do with Janet's struggle to deal with her mother's progressing dementia. In fact, since Drop Dead on Recall came out last year, several readers have written to tell me how realistic and sensitive the book's handling of the issue is. The nursing home that Janet moves her mother to uses several innovative approaches, including therapy animals and a therapy garden, which may be of interest to some readers. Another detail that a number of readers say they like is that the central characters - Janet and Tom - are in their fifties, and Janet's friend Goldie is in her sixties. I was asked at one point to make Janet younger in years because, it was thought, she acts younger than her age. Really? That both irritated and amused me because in many ways, Janet acts like me and my friends, and a lot of us are even older than Janet. This is the way people our age act, folks! Back to book three. As you might well guess from the working title, Catwalk brings Leo and his ilk to the forefront. We'll be going to a cat show and Janet and Leo will give feline agility a whirl. The mystery, too, is cat-centric, although Aussie Jay, Labrador Drake, and several other dogs are on the job as well. When people learn that I write an animal mystery series, they often ask whether the animals talk, solve mysteries, and so on. The short answer is NO. 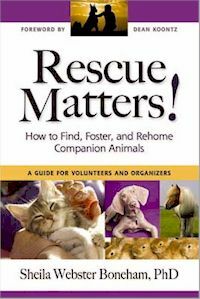 I have a long history writing nonfiction books and articles about dogs and cats, and about rescue, and I very much believe in portraying animals realistically. I also have been involved in many aspects of the animal world for many years, so the information I include about breeding, rescuing, buying, adopting, showing, training, and so on is based in my own experience and that of my friends and colleagues. I believe that animals are much more interesting when we see than as the animals they are - why turn them into "fur people"? Drop Dead on Recall and my other books are available from your local booksellers (please support independent booksellers when possible! ), and from amazon.com and bn.com. Personally autographed copies can also be ordered here. Want a chance at a free book? Leave a comment, and your name will be entered for an autographed copy of one of my books listed below - your choice! animal rescue in the Cayman Islands!